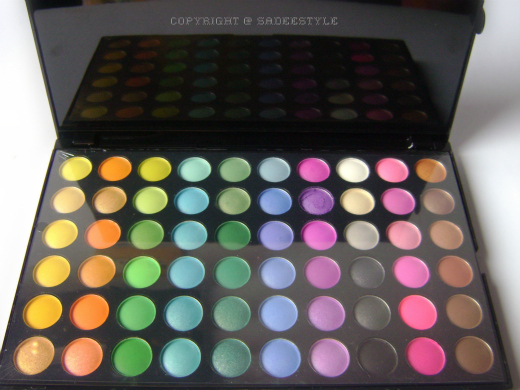 Everyone must have heard about the Color Eyeshadow palettes which is available in different sizes and in different brands. Most of you probably already own this product, but I was still looking for a good eyeshadow palette as there are so many eye palettes to choose from.The thing tempted me to choose Beauty Factory eye palette was the Price, 120 color eyeshadow palette with 12 pcs brush set just in £21.99. This is just so amazing. 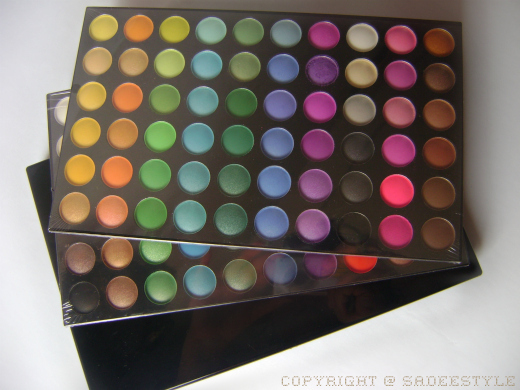 I was very excited when package reached to me, this eye palette comes with an extra care and love. It was carefully wrapped in many bubble wrappers. 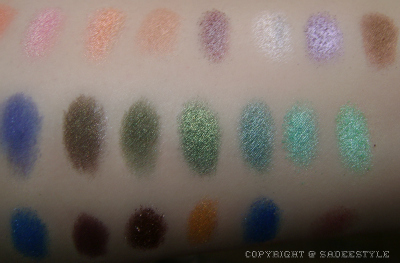 I have only two slightly cracked eye shadows, but not that i couldn't use it while most people were complaining their palette arrived completely shattered. 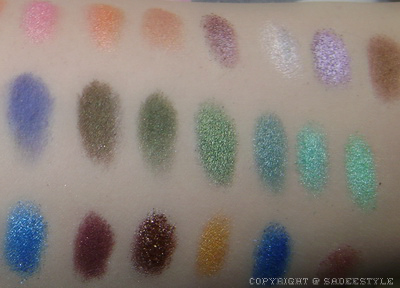 Some colors are really pigmented and shimmery while some dark shade have a little fallout, but if you apply them with good primer, it can help to reduce the fallout. 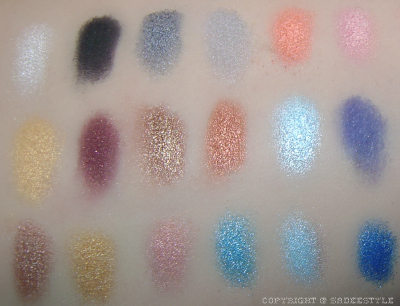 I did some swatches to show you the pigmentation of the colors, there are also a very big amount of the matte eye shadows which are little better than the shimmery ones they are so soft to apply and stay for long time while some of matte colors are powdery and chalky too much blending will fade the color so avoid blending so much. 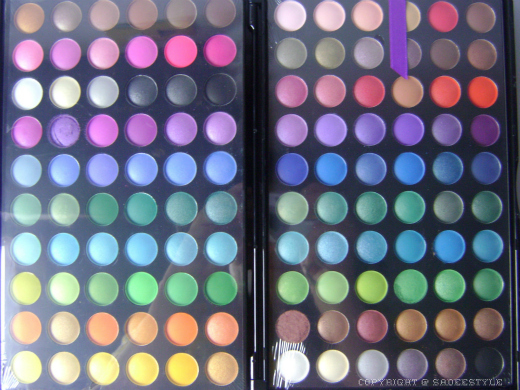 I had a little complain with this palette that it doesn't have any applicator or brush for applying these shadows, but Beauty Factory offering a 12 PCS Brush Set with this palette in minimum price, like if you buy only a Palette it will cost you 19 Pounds but if you choose palette + 12 pcs brush set, They will only charge you 21 Pounds wow this is just so brilliant The quality of the brushes are just fine it would be injustice if you compare them with sigma or MAC but these are far better than the brushes usually come with the eye pallets or any other drugstore brand brushes . 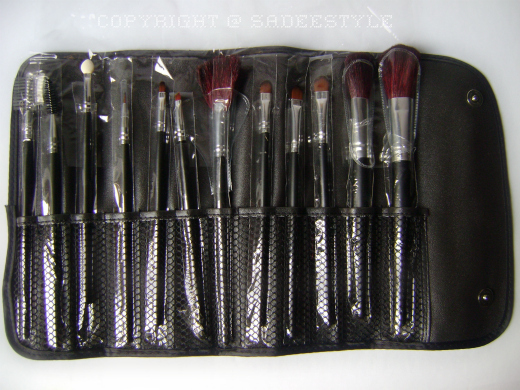 There are 12 Pieces of brushes which comes with a holder which protect brushes to get damage or break also there are 3 main round shadow brushes to apply eye shadows which are very helpful to apply cream and pigmented eye shadows this set also contain 2 powder brushes one is large and other one is medium also one fan brush, eye luner brush which i like the most, eye definer brush, lipstick brush, eye applicator brush, mascara brush and lash/Comb brush. 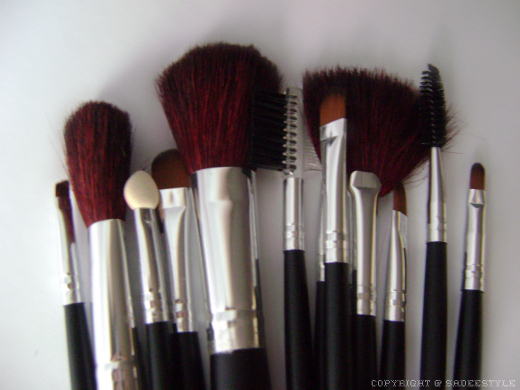 i have been using them for last few days and had no complain, the brushes are in the same shape as they reached to me and also no hair fall out of the brush. Overall I'm so in love with Beauty Factory's Products. 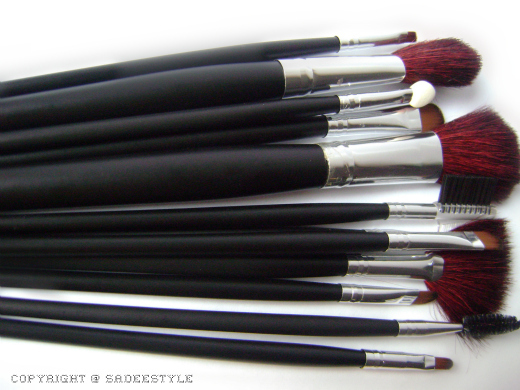 Its great value of money both of the products are worth to buy i can play around with different colors with lovely set of brushes. I've never had such varied colors. 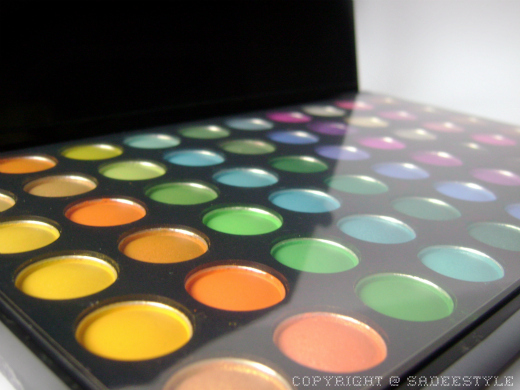 I've been having a great time with this i would recommend this to everyone because it's really cheap But there is something will really bother you about this palette that there are too many similar colors most of them blues and green they should add more Gold, brown and pink instead of them, also they should add a back mirror other than that everything is just fine. i love love this palette !